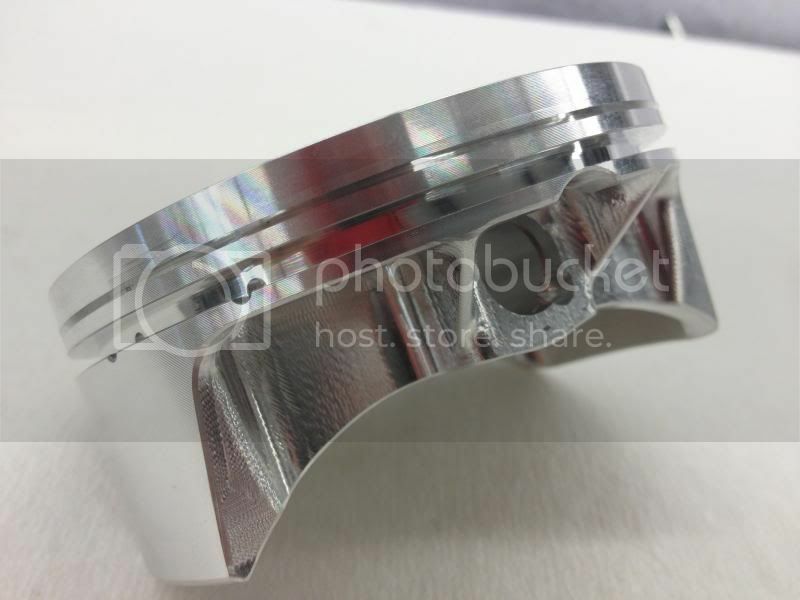 I now have available a new line of pistons designed for the junior bracket racing engines. This modern / superior design is a total departure from currently available selections. The fully billet (2618 alloy) design features many of the same features as our Outlaw model but with a much lower cost ring package. The rings sets that support this range are listed in the right column. The program allows for two pistons sizes for each available ring set size which will make the cylinders last a very long time. Weight is 205 to 220 grams as supplied (depending on actual size) and this is reduced by about 5 grams for every .010" that is removed from the compression height. 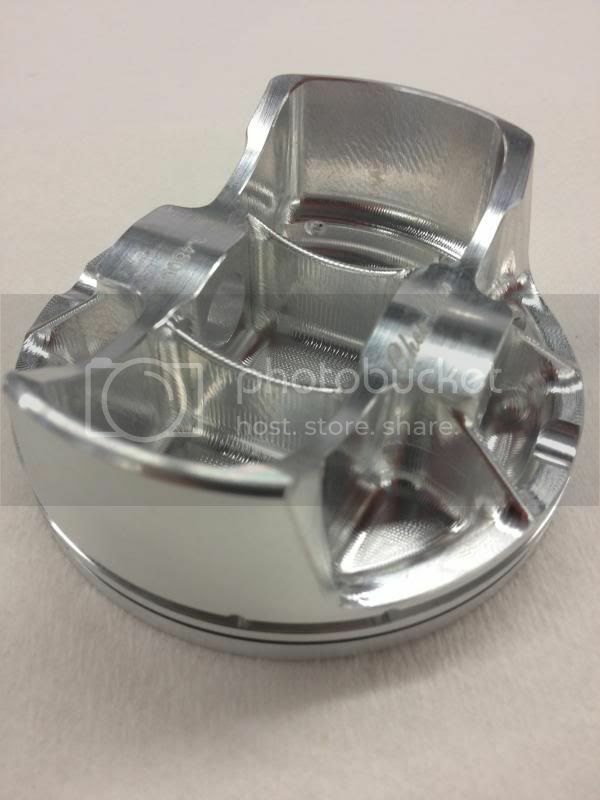 The piston features a interference fit piston pin to insure longer life (piston must be heated for installation) -- the piston pin is totally isolated from the oil ring for better sealing. 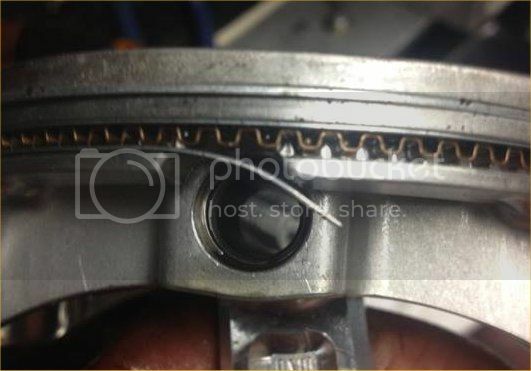 There is no possibility of the ring bending into the wrist pin bore. The pistons are supplied with the ring set, tool steel piston pin and spiral lox retainer clips. How much Clearence do you run with them? Latest shipment has moly skirt coating ..